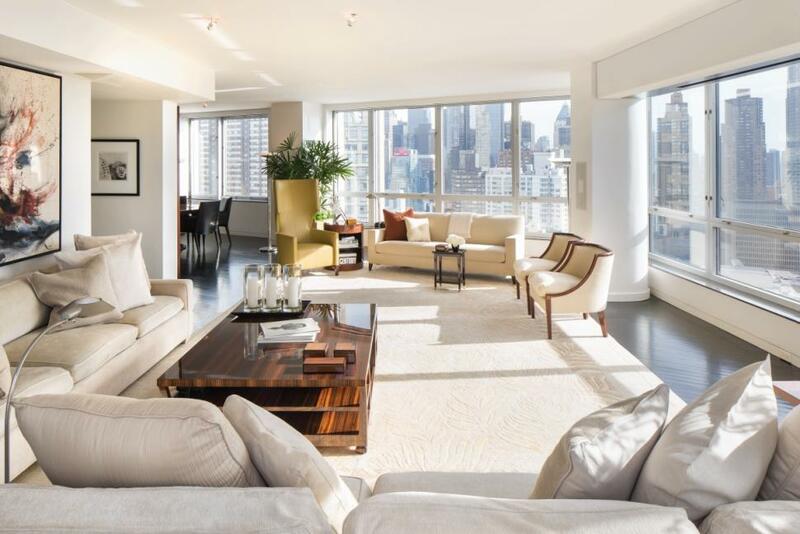 The expansive living/dining area is perfect for entertaining, especially with the wrap-around, floor-to-ceiling windows that offer up spectacular views of Midtown and Columbus Circle. 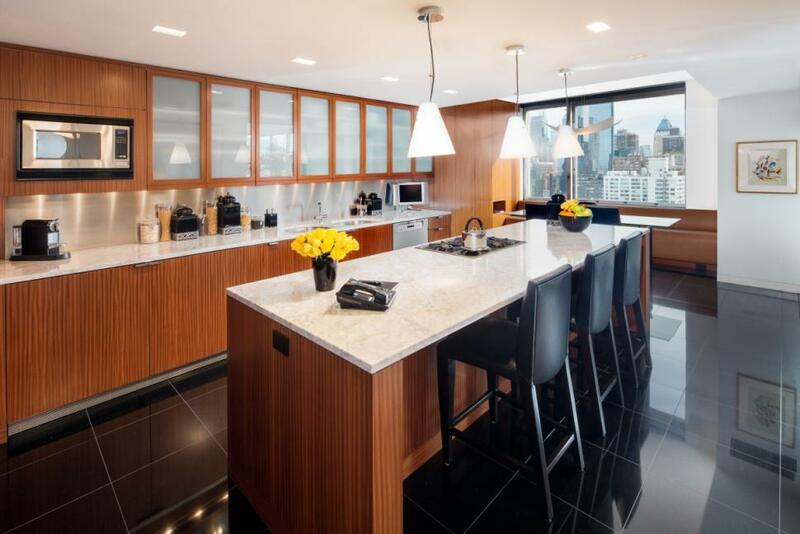 The nearby eat-in chef’s kitchen features top-of-the-line appliances, ribbon strip mahogany cabinets, black granite floors, and Carrara marble counters. The first level of the penthouse also houses a mahogany paneled library/guest room with a full en-suite bathroom. 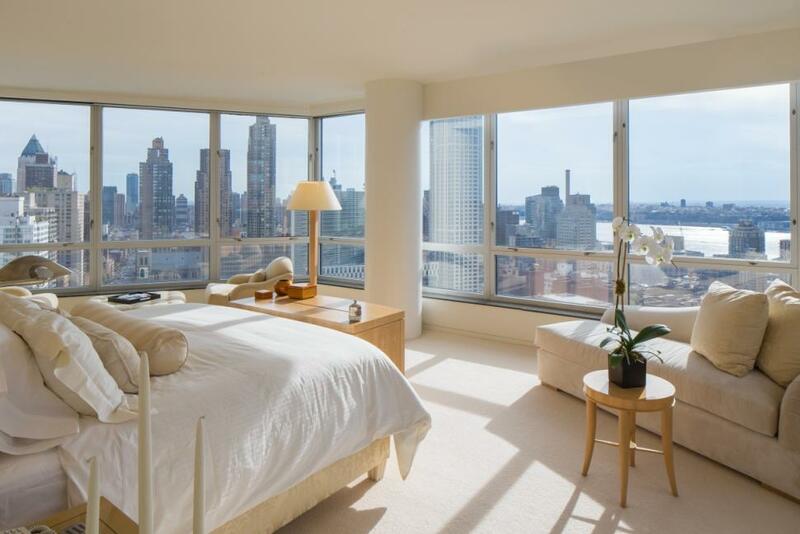 On the second floor is the luxurious master suite with 180-degree views, several large closets, two master baths (one complete with a television in the mirror), an exercise room and a private terrace. This floor also hosts a second bedroom with an en-suite bath. 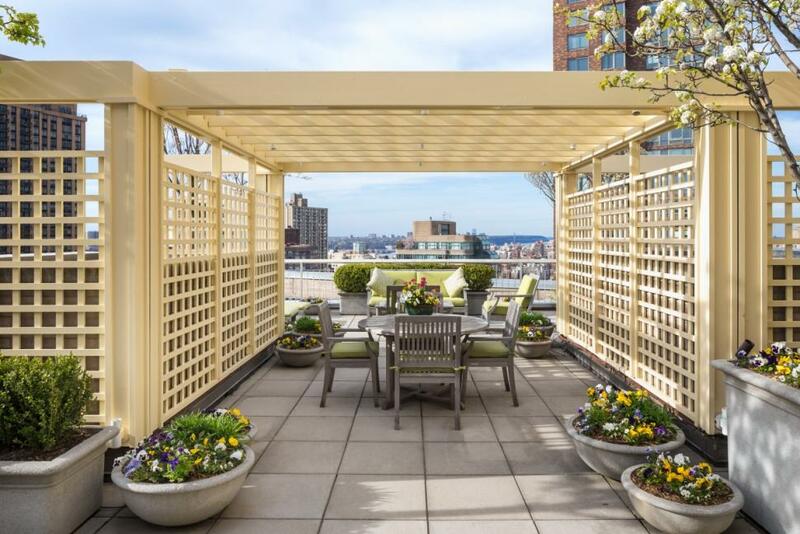 But the crowning jewel of the penthouse is the 1,500-square-foot terrace with Central Park and Hudson River views. It boasts beautiful landscaping, an irrigation system, a retractable awning, trellis, lighting and speakers. Marv’s decision to place his home on the market in May coincides with his announcement that he was stepping down from the NFL on CBS to focus on basketball work for TNT and CBS.